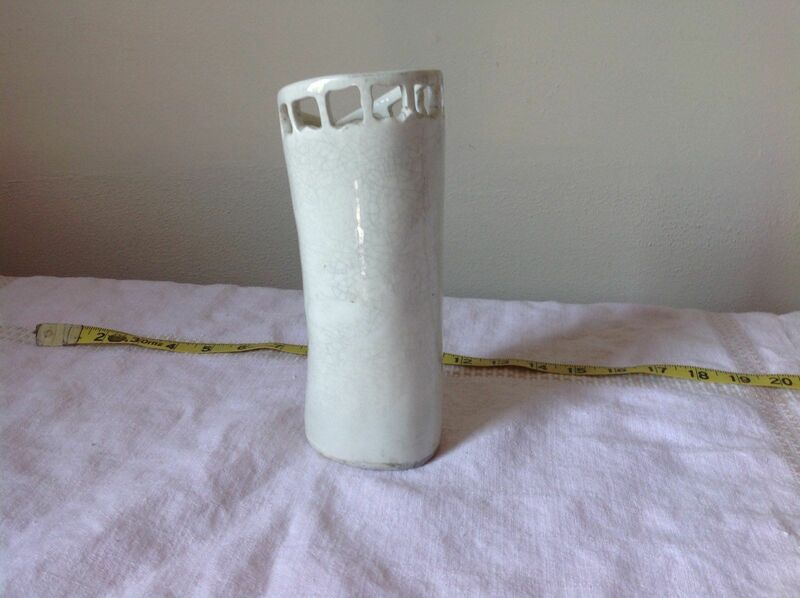 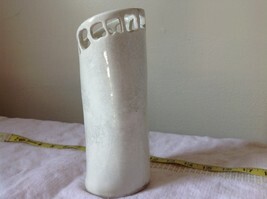 By our in house ceramic artist, Suzanna Van Schoonhoven, a life long ceramic artist producing museum quality pieces. 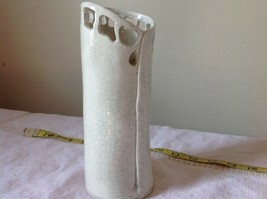 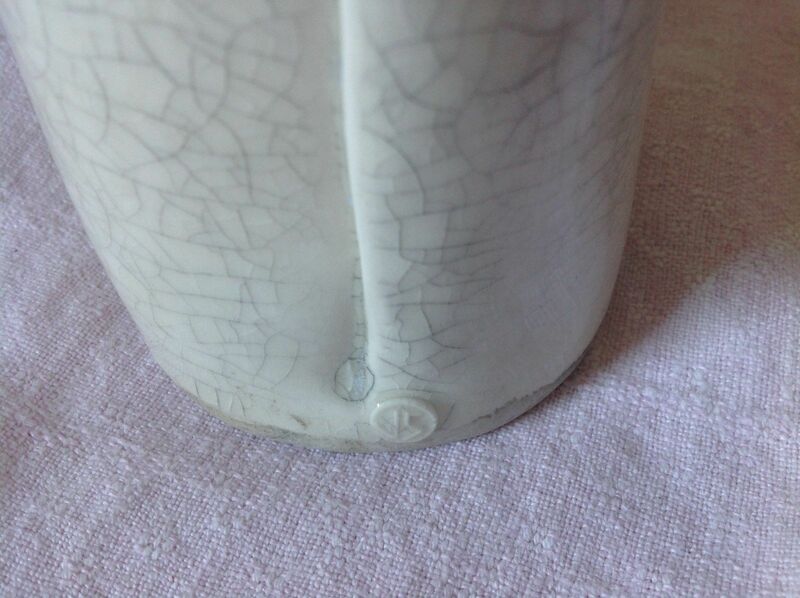 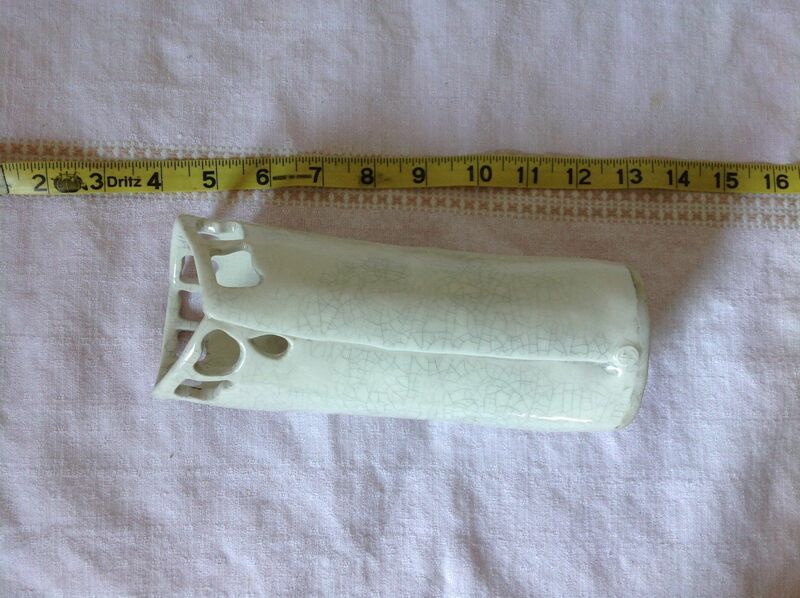 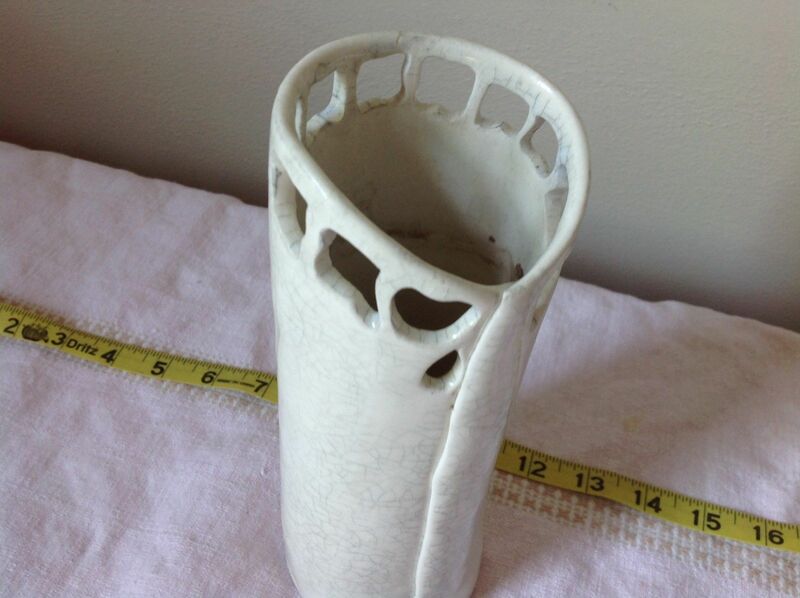 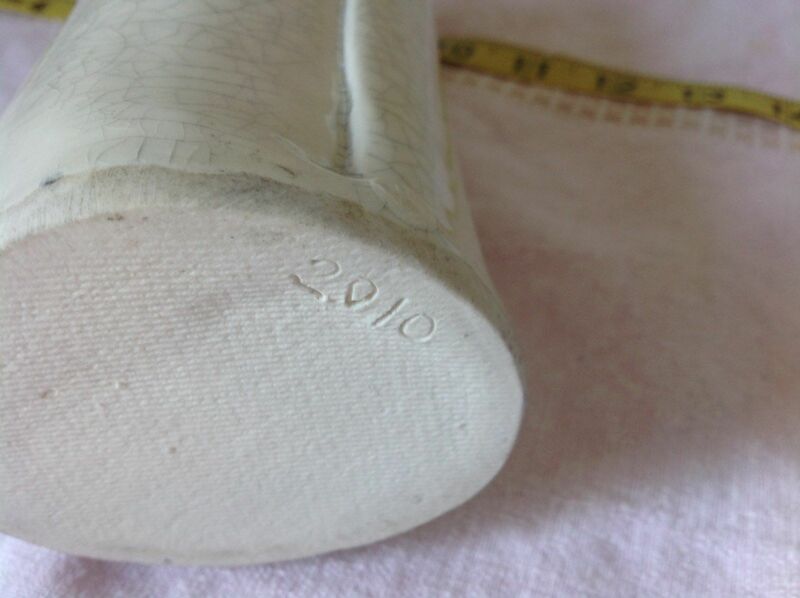 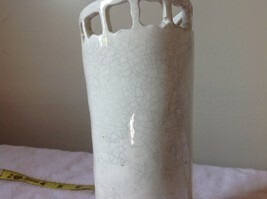 This item shows beautiful crackle glaze, but some of the filigree has been repaired. Still too gorgeous to toss in the land fill.